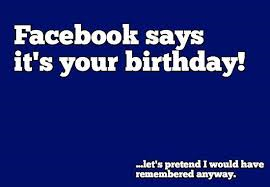 Facebook: They Say It’s Your Birthday! For my birthday this year—which usually involves someone buying me a beer, in May—I am asking for donations to The Daily Discord.com. Or at least enough money to fund a Donation Button, which involves thirty minutes of WordPress time that I’m not, as yet, willing to donate. 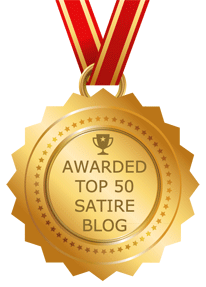 It’s like a button that sends me cash so I can keep making fun of Republicans in a timely manner. I know in 2018 it’s pretty low hanging fruit, but I do it each week with a certain liberal pizazz. Oh, and I had to change my birthday on FB to make this joke happen and now Zuckerdick isn’t letting me change it back! Fascist Book? Maybe fighting the man should be a separate donation button, or something… Anyway, please send all proceeds to my PayPal account that I haven’t bothered to set up yet. I really should have thought this through better. In lieu of this year’s usual birthday cheer just donate to the Leukemia Society. Oh wait, I went with the Donation Button, thing …well, technically it’s a donation to get a donation button on The Discord *sigh*. Look, could someone just lend us a donation button? Kind of a rent-to-own thing? Some of you have already noticed my actual B-day was a few weeks ago. I meant to post this earlier but, truth be told, I forgot I did this. Do you know how hard it is to change your birthday on FB? Of course you don’t! And where’s my beer! Apparently I can’t change my birthday back, so birthday cheers might arrive for me forever on the wrong day. I hope I can call you Mark, because my name’s Mick, at least on FB. My real name is Mike, which is close. Now I changed my birthday while imbibing some spirits the other day, nudge, nudge, wink, wink. The new date is also close to my actual birthday, but it changes my horoscope, my fate, and did I mention it changes my horoscope? Is this inability to change key demographics a temporary thing, or am I stuck with the wrong birthday forever? The year of my birthday, currently in FB demographic, was never right anyway, so technically I’m only changing the day back to the day of my actual birthday. What if I want to change the year to my actual birth year, some year? Changing your birthday should be a God-given right. Why can’t every day be my birthday? Who the hell are you to tell me I can only have one birthday each year? You lied to the EU and to Congress about our privacy, so just allow me to change my demographics back to my original selection—which was still wrong—and we’ll call it even! So you don’t want to participate? Fine, in lieu of my usually birthday beer, let’s upgrade to two birthday beers—on my new birthday, which is today. What is that, Cancer? Geez.